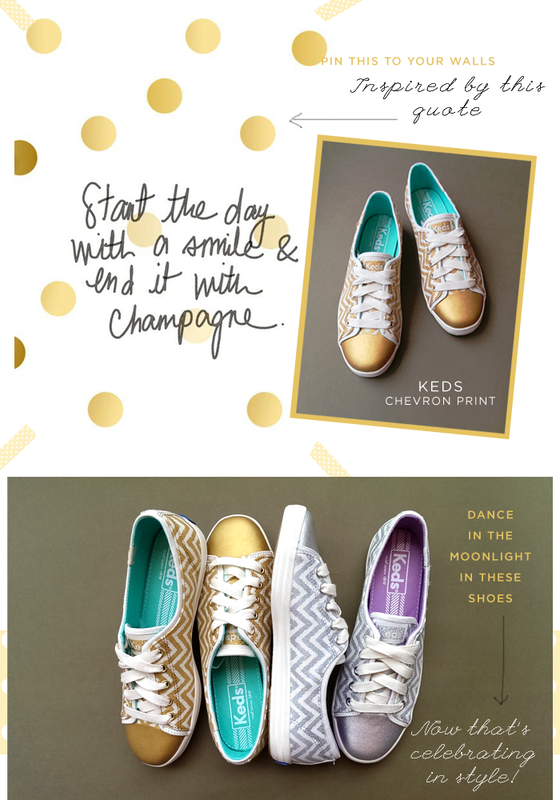 Rockstar Singapore: Celebrate with Champagne... and KEDS! Celebrate with Champagne... and KEDS! Start the day with a smile and end it with champagne. What a profound quote, no? What we mean to say is - Coooooongratulations ladies, you're officially past midweek! To prep you for the weekend, we say blast this on your speakers (loud enough so your co-workers hear it too), gather abit of courage to try on that hot pink lipcolour you've always wanted to (c'mon - DO IT! ), and put on your favourite dancin' shoes. Oh weekend - we can smell you already! KEDS, Chevron Print in gold & silver - only at Rockstar Cineleisure.